Do you know someone who would love to do our training, get a new OM2 or OM4 Polo Shirt, or an OML Supporters Polo Shirt? The Gift of a Voucher is available in any amount you care to nominate. No amount is too small or too large! Unless otherwise agreed, the Voucher expires 12 months after the nominated date. The Voucher is transferrable to another therapist provided we are advised of the transfer within 14 days. The Voucher is non-refundable. If it has not been redeemed by the expiry date, we will be grateful for your donation. 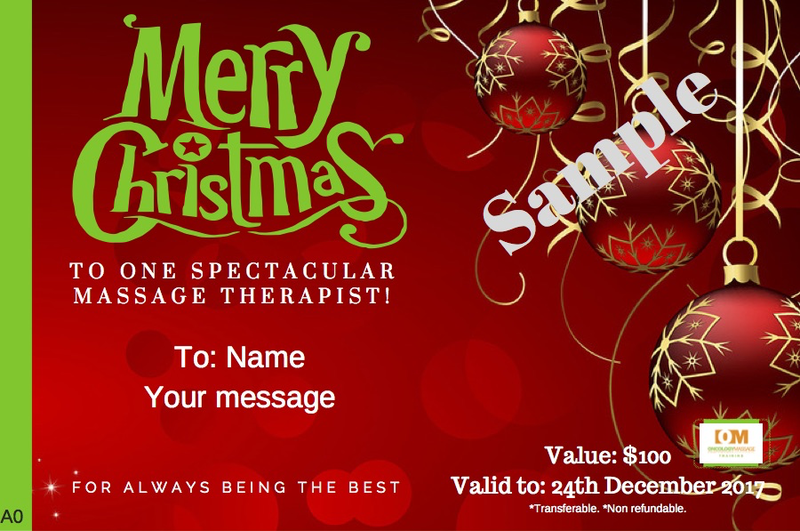 The Voucher message is limited to 100 characters (font size 10). The longer the message, the smaller the font size. The Voucher can be personalised with your choice of photo. We recommend printing on a minimum of 200gsm paper. Do you want us to print and post it to you, or do you want us to email it? Mail attracts a $10 printing and postage fee. Do you want us to deliver it to you or directly to the lucky recipient? What is your postal/email address, or the postal/email address of the lucky recipient? What is the name of the lucky recipient? What is your short 100 character message? What is the event (Christmas 2018, 25th Birthday, etc)? Do you wish to personlise it with a good quality photo in a common photo format? Contact Kylie to discuss your requirements, and allow 5 working days for electronic delivery of your "Gift of a Voucher" or 10 working days for postal delivery.